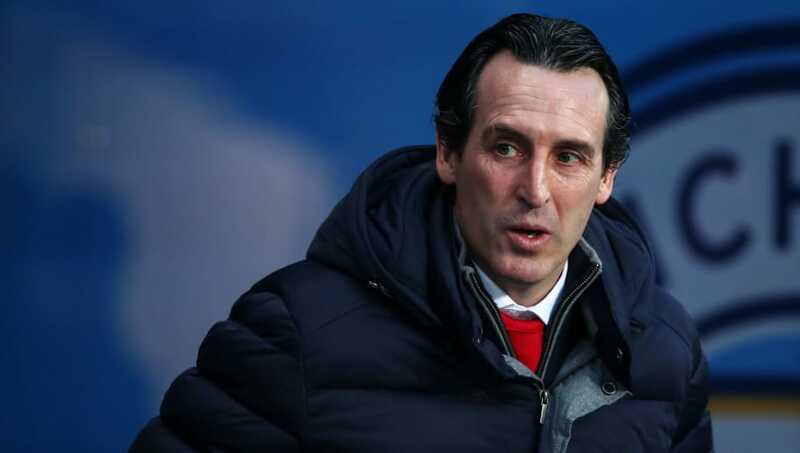 Arsenal manager Unai Emery has urged his side to keep believing they can finish in the top four this season, even though the north London side are now the outsiders to qualify for next season's Champions League. Recent results have seen Arsenal slip down to sixth place in the league, one point behind Manchester United in fifth and three points off the last Champions League spot, which is currently occupied by Chelsea. Although Arsenal are within touching distance of a return to Europe's most prestigious competition, Emery believes his side are the outsiders for that fourth Champions League spot and even further away from challenging for the league title. "There are teams better than us," Emery said, quoted by The Mirror. "Are we outsiders now for a top-four finish? Yes, we are sixth. That’s the reality. "We still have to believe we can finish in the top four even while knowing it will be ­difficult for us. No excuses for Arsenal not winning and keeping a clean sheet today. Huddersfield are the worst team in the league and haven’t even scored a goal since January 2nd, so this is the perfect opportunity to gain some footing in the top four race and banish our dismal away record. "There’s a big difference between the top three (Manchester City, Liverpool and Tottenham) and us but we are a lot closer to Chelsea and Manchester United. "The gap to the top three is too big but the other two? The possibility to catch them is there because we are only three points ­behind Chelsea and one point behind Manchester United. We still have to believe that we can do it." Manchester United can move up to fourth at least overnight if they win away to Fulham in Saturday's lunchtime kick-off, while any slip up from Ole Gunnar Solskjaer's side can be punched on by Arsenal when they face Huddersfield Town later in the day. Chelsea will hope to cause an upset on Sunday when they face Manchester City at the Etihad, a result which could see Liverpool move three points clear at the top of the table with a game in hand on Pep Guardiola's side.